Don't think we have a 2016 thread yet, so here goes. According to the Verbal Commits site - which is always 100% accurate and up to date - only 2016 offer UP has is for SF T.J. Leaf...though it would appear that with Indiana, Michigan, etc. after him chances of reeling him in would be slim. Ugoalah is a 6-2 PG. Attends Sir Winston Churchill in Vancouver, BC. I like having my own personal thread. Just gonna hang out here by myself, so that's cool. DeanMurdoch wrote: Just gonna hang out here by myself, so that's cool. Really, a player from Morton/White Pass High School…..and UP is looking at him? That school is in Randle!! I believe the towns of Morton and White Pass, about an hour apart, combine to make one high school. The school is in Randle and has an enrollment of less than 150 students. Morton/White Pass is classified as 2B (93-207students). Kaleb just started the 10th grade yesterday, so I’m sure other colleges will have a chance to see him, but only if he plays for a very good AAU team.....I just don't see too many coaches heading to Randle unless word gets out there’s a phenom out there in the woods in southwest Washington. That would be quite a story!! I suspect the coaches are only recruiting him for the excuse to stop by the Morton Meat Company, a damn fine butcher shop! DaTruRochin wrote: I suspect the coaches are only recruiting him for the excuse to stop by the Morton Meat Company, a damn fine butcher shop! You know, DTR, you may be onto something there. After reading the testimonial from these two ladies, it's pretty obvious I'm going to have to take a run up there this fall while Kaleb is playing, and stop in for some "mighty fine meats." We drive from Cinebar once a week to enjoy the selection at Morton Meats. This is the only Meat Market I've been to that does not smell like a Meat Market. What a selection to choose from. This is the only Meat Market I've been to that does not smell like a Meat Market. What a selection to choose from. Definitely not like the meat markets in Portland. Not the kind in downtown, anyway. Wait, are we talking about actual meat? UP is, as far as I can tell, the first to make an offer to Seattle Garfield HS PG Jashaun Agosto......I expect there'll be about 100 more by the time he's commits. Love these videos. Untold story is how many shots were missed. Jason is #10 in white, white shorts. Summer league game @ Curtis in June, Jackson won. Jason and Jashaun have been going at it since the 5th grade. KTodd wrote: Love these videos. Untold story is how many shots were missed. Ha-ha, yea, we've often commented on how everyone shoots 100% and has 10 rebounds and 10 assists in their videos. Regardless, it would appear Agosto has some real potential.....when he gets bigger and stronger. I’m surprised Dean Murdoch hasn’t yet mentioned this this young Canadian, Jauquin Bennett-Boire from just up the road in Saskatoon, but for now schooling and balling in BC. At 6-2/205 as a high school sophomore, he could create a lot of havoc in the WCC with the proper conditioning. I’m pretty sure Coach made him an offer when he was in BC this last week….and from what I can tell, Bennett-Boire has quite a potential and will see many more offers in the future. 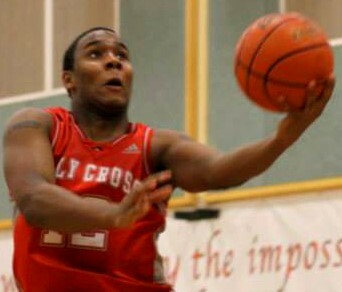 DoubleDipper wrote: I’m surprised Dean Murdoch hasn’t yet mentioned this this young Canadian, Jauquin Bennett-Boire from just up the road in Saskatoon, but for now schooling and balling in BC. Best part of that article you posted? Jauquin is also an accomplished fastball pitcher! Had he not moved to BC, we probably would have run into him on the fastball circuit this summer as our team usually plays a few Midget teams - just not a lot of good competition for that age group so they end up playing against (and competing well with) adult teams. This had originally thrown me for a loop, because his Verbal Commits profile has him listed as being from Saskatoon but attending Holy Cross HS. Obviously that means Holy Cross out of Surrey, but there's also a Holy Cross in Saskatoon which I was 100% sure he didn't play for because we just had HS provincials here in Regina last weekend and that Holy Cross definitely didn't have anyone by that name. Took me a bit to put it all together. p.s. 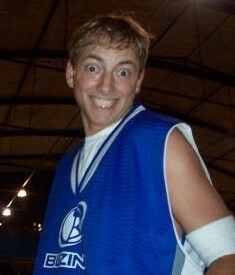 His coach for Team Sask basketball in 2011 was none other than John Bailey. 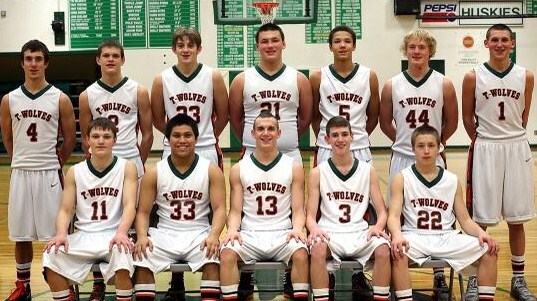 Morton White Pass plays in the same league as Toutle Lake. Toutle Lake is the alma mater of Casey Frandsen who is scattered all over the Pilot record books. FRandsn graduated in 2004 as Portland's career three point record holder (since broken by Jared Stohl), and has the second highest single season scoring total in school history. Don't count out small school kids. #GOPILOTS wrote: Morton White Pass plays in the same league as Toutle Lake. Toutle Lake is the alma mater of Casey Frandsen who is scattered all over the Pilot record books........Don't count out small school kids. Ha-ha, I don't think you'll find anyone on this board counting out the small schools. Compared to many D-1 schools, UP is VERY small. And of course we all remember Toutle Lake Casey and the night he lit-up #1 Duke for 28 points in front of the Cameron Crazies. I imagine a number of us will watch #55 stroke it again during the Alumni Game on June 28th in the Chiles Center. Kaleb had a pretty good sophomore year....his team was the 2B (enrollment 93-207) state champs and Kaleb was selected to the Class 2B first team. I'm pretty sure he was at one of the Pilots summer camps last year (and Gonzaga's too); I expect he'll be there again this coming summer. KTodd wrote: Love these videos. Untold story is how many shots were missed. Jason is #10 in white, white shorts. Summer league game @ Curtis in June, Jackson won. Jason and Jashaun have been going at it since the 5th grade. It's a slow offseason, so here's another video featuring Jashaun that means nothing, really, but it does show the young man has some bounce. @VerbalCommits wrote: Portland has offered 2016 Gilbert Christian (AZ) G Cameron Satterwhite. Too early for them to make official visits, these two will apparently be on campus at UP for unofficial visits this afternoon. Interesting. AZprospects.net has Lightfoot as the #1 2016 prospect in the state and Satterwhite as the #5. Also, I see Mike Bibby's kid on that 2016 list?? What world am I living in that Mike freaking Bibby is old enough to have a son ready for college? Wasn't it just last year that he was running the point for the Vancouver Grizzlies? Considered one of the best PGs in Colorado's 2016 class. Not sure it applies to either recruiting thread. How about a trick shot thread?